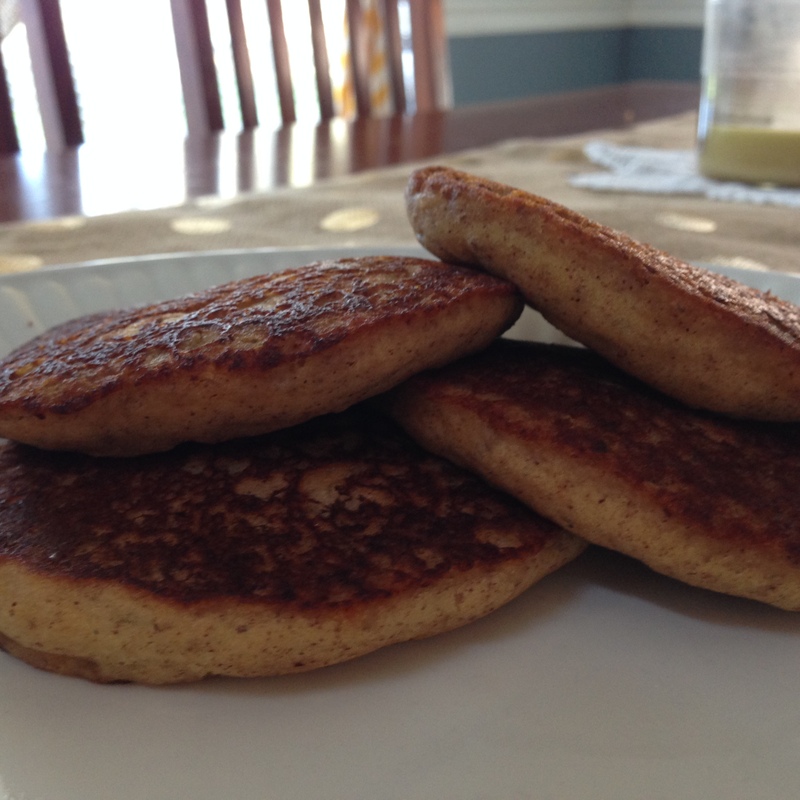 This recipe is very similar to the other gluten-free, dairy-free recipe I posted here. However, in an attempt to stick as close to my elimination diet as I can (and still eat pancakes, of course), I’ve left out the eggs… and added a few more things. So, here is the gluten-free, dairy-free, soy-free, egg-free version! Stir all the ingredients together. The batter will be slightly runny, like cake batter. However, while it sets it will gel until it’s more like brownie batter. This is OK! I used coconut oil to grease the pans. Not only does this eliminate any soy from the non-stick spray, but it makes the pancakes crunchy and delicious. Make sure the skillet gets up to heat so that it sizzles a little when you add the batter, but not so hot that it burns before the top side is almost done. The pancakes rise the best when they are allowed to cook mostly on one side and then flipped for only 2-3 minutes on the other side. The vinegar helps the pancakes rise well and the flax seed helps hold the batter together… one would hardly notice there were no eggs. Except my tummy. It’s oh-so-very happy I left the eggs out. Look at them rise! 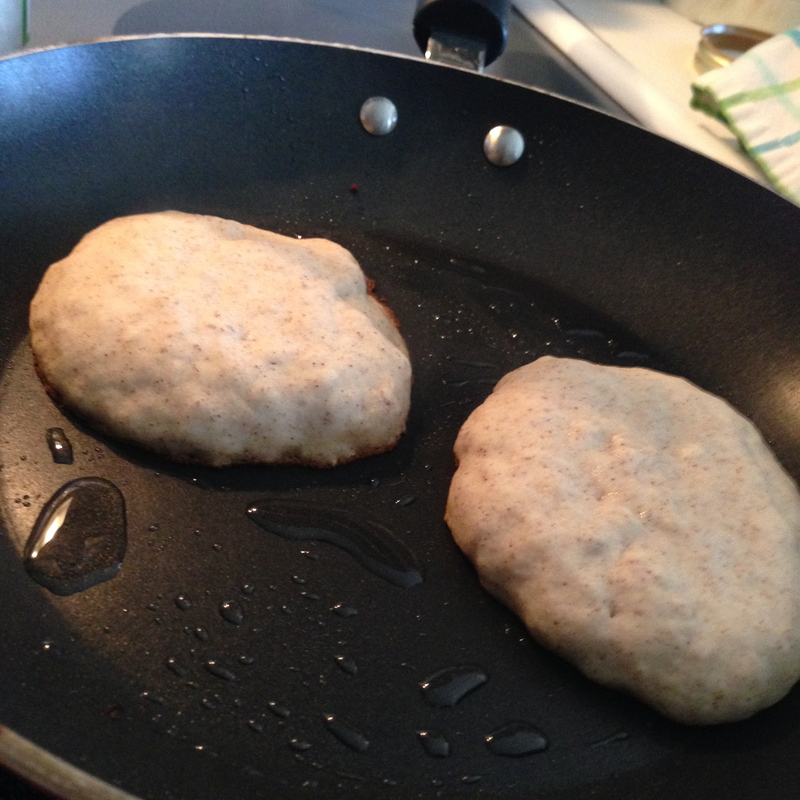 Cook with a lid over the pan to help cook the top side and create a thicker pancake. 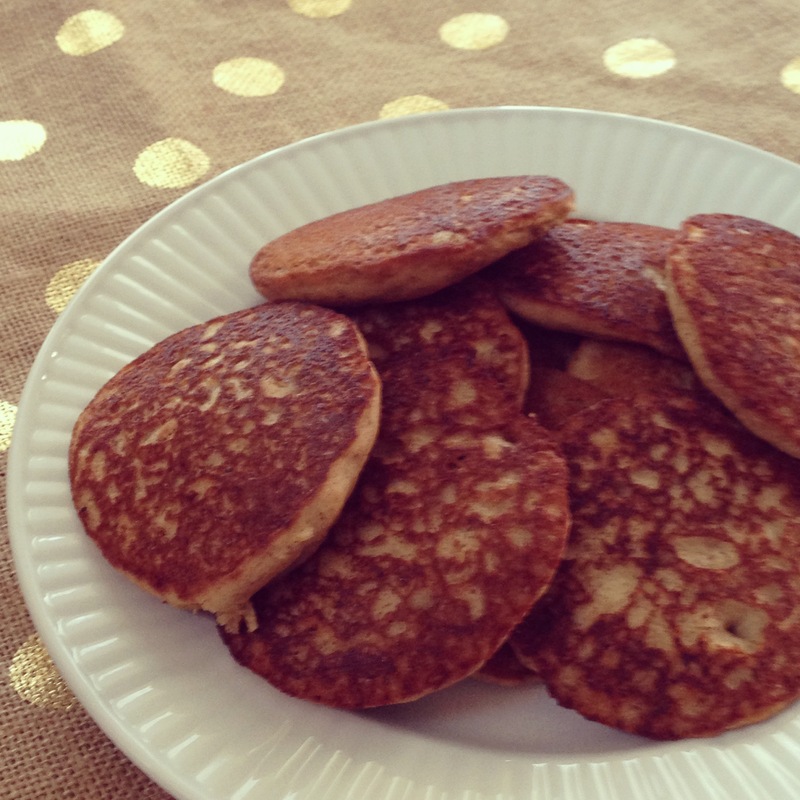 Posted on April 4, 2015 by Katie •	This entry was posted in Cooking Adventures, Lactose-free Cooking and tagged egg free, gluten free, lactose-free, nut free, soy-free. Bookmark the permalink.